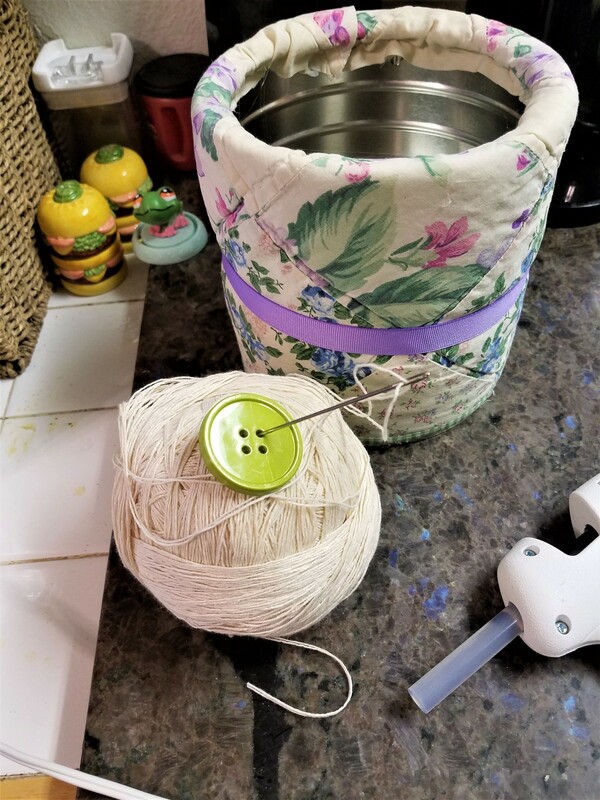 You may not have considered making a garbage can or trash bin as a potential craft project, but there are lots of creative ideas for making your own trash bin. 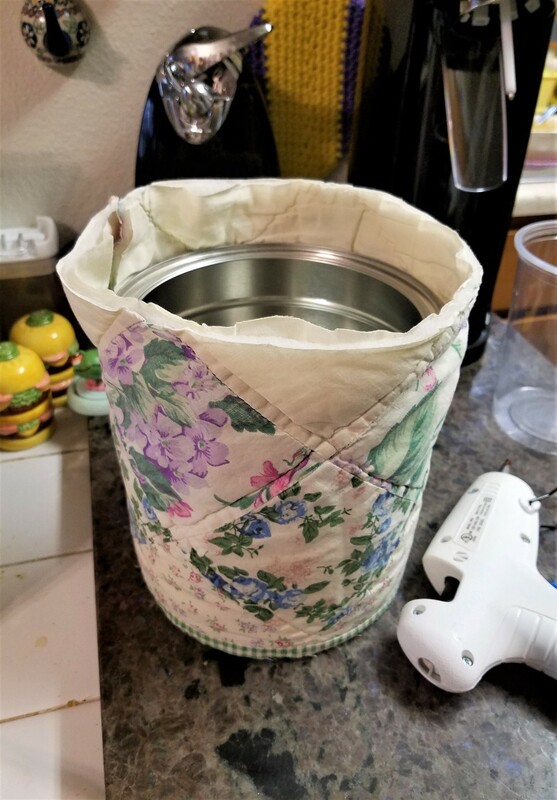 This is a guide about homemade trash bin crafts. Sleeping in the living room has it's perks. The dark side of that is I like things to look nice should someone show up to visit and for me, too. When you have a nice looking can like the smaller versions of popcorn tins, you still have to put an ugly bag inside. 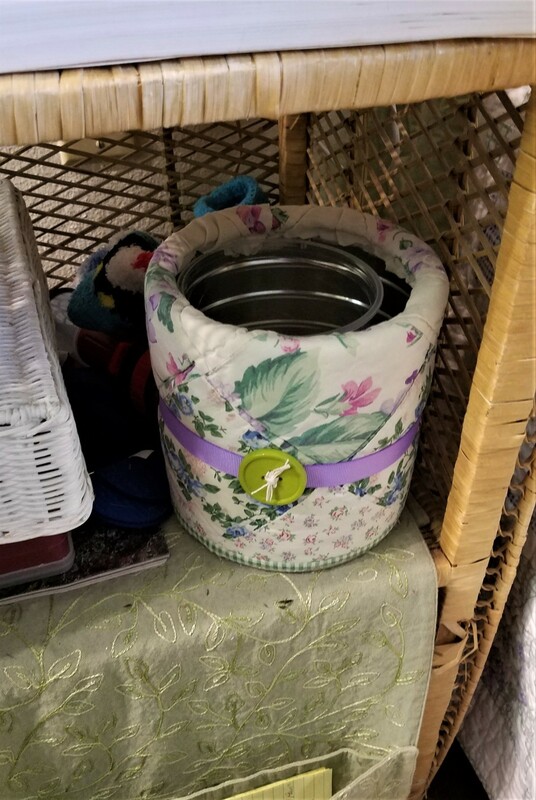 So I made a pretty can with a little trash can inside that can be cleaned out or tossed. I used a tall food container from my local Cash and Carry store. 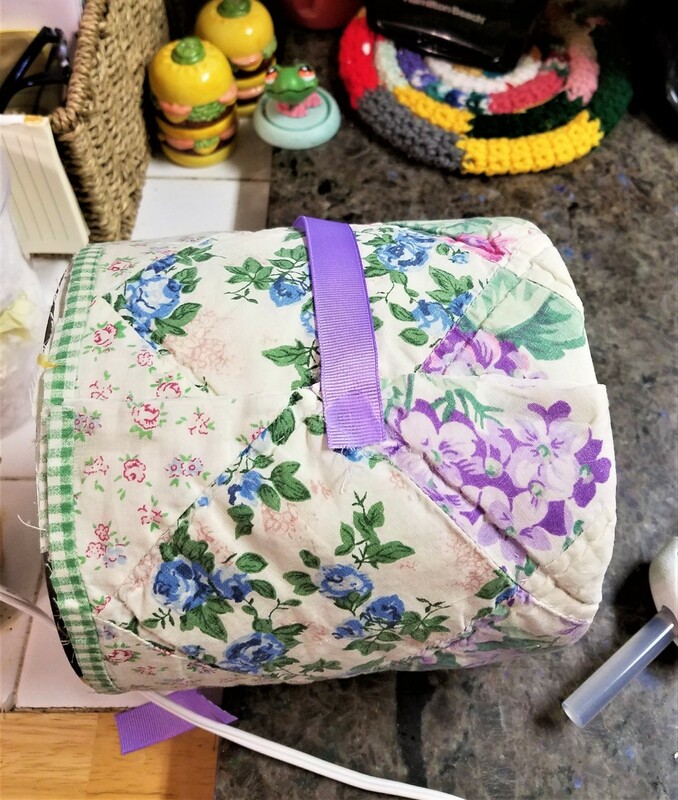 Cut the fabric so you have at least a 1" lip to fold inside the top of the outer can. 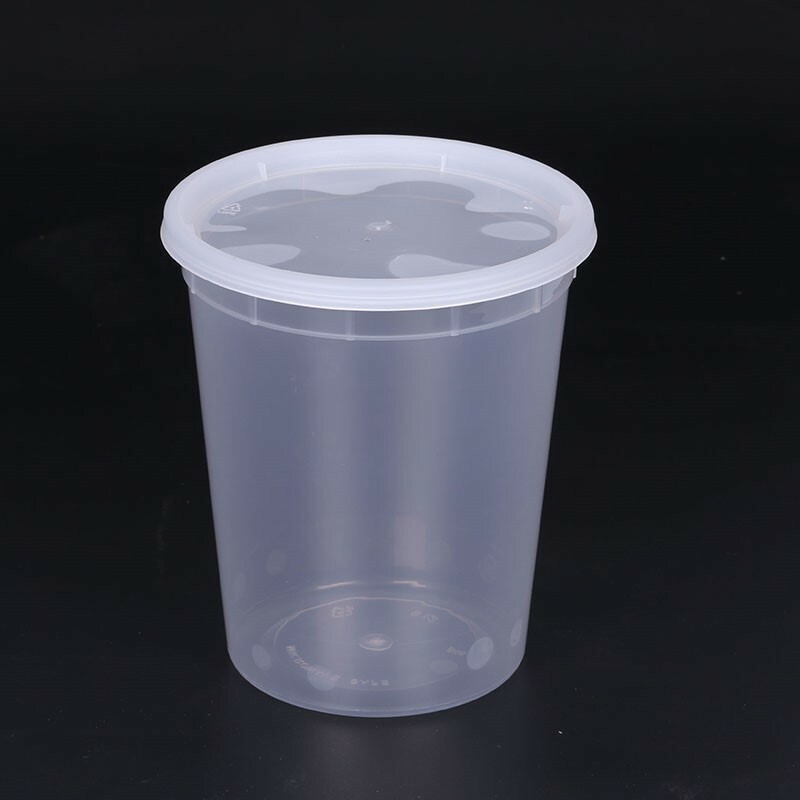 Pick the type of container you want, making sure the outer container is taller than the inner one. Mine was a 5 lb. coffee can. 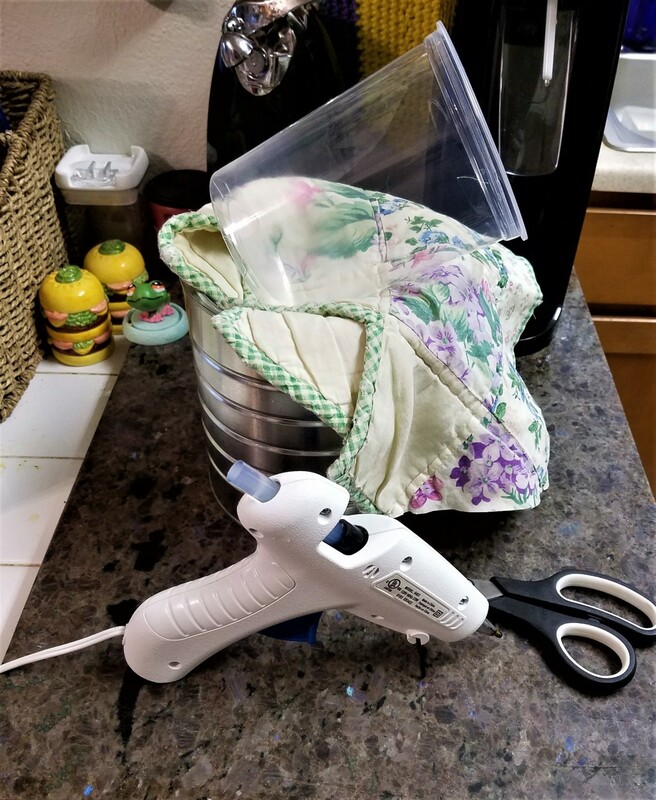 Heat up the glue gun and begin by gluing the fabric to the rim at the bottom of the can. When the fabric is glued around the top, do the one side seam. Then put the overlap on it, too. 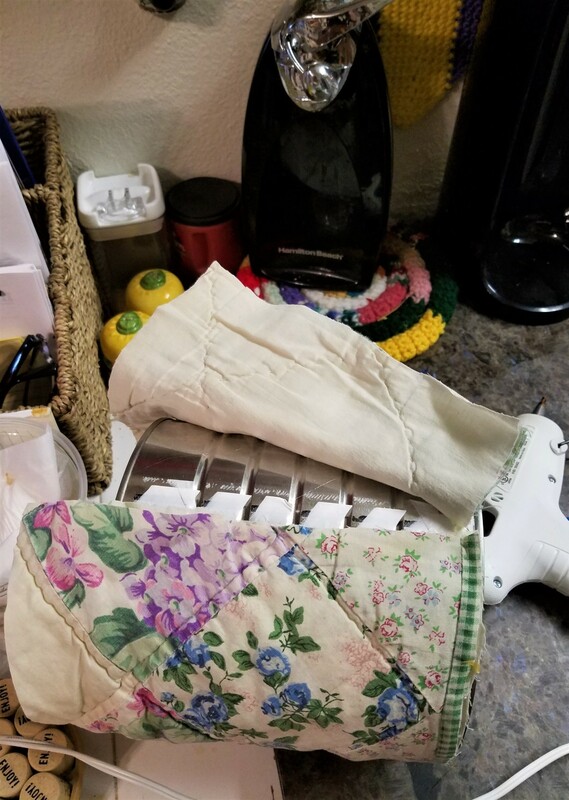 This leaves you a nice "fold over" on the top. Glue the top down inside the lip. Either embellish with ribbon and a button or leave it plain. 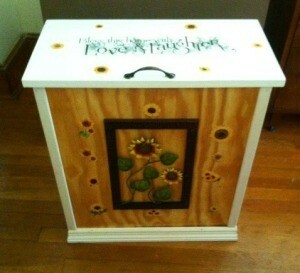 This is a kitchen garbage can that my hubby made for my niece. 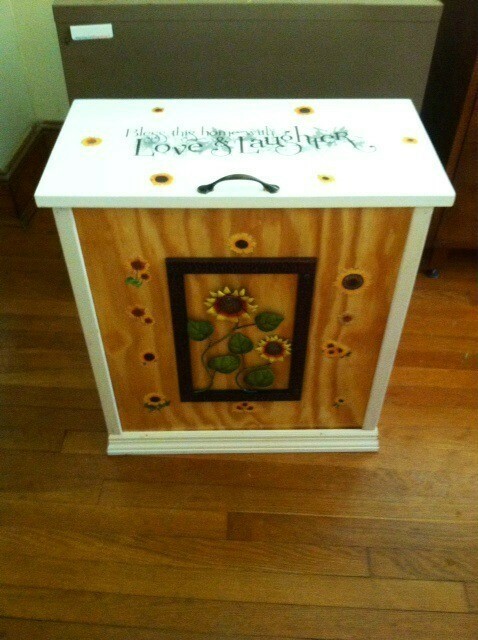 He built it and I painted, decorated, and decoupaged it. This is the top cover for it. 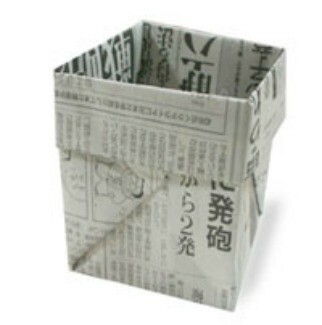 Using the art of Japanese paper folding, you can make an attractive refuse container from recycled paper. This is a guide about making an origami garbage bin. 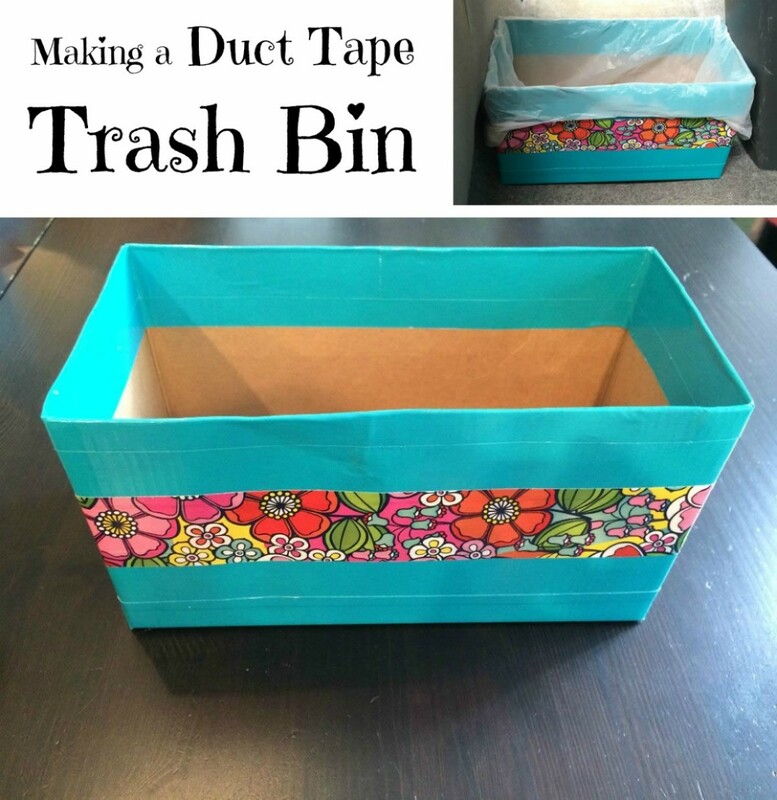 This is a guide about making a duct tape trash bin. With its popularity for use in crafting, duct tape now is available in lots of fun colors and patterns. 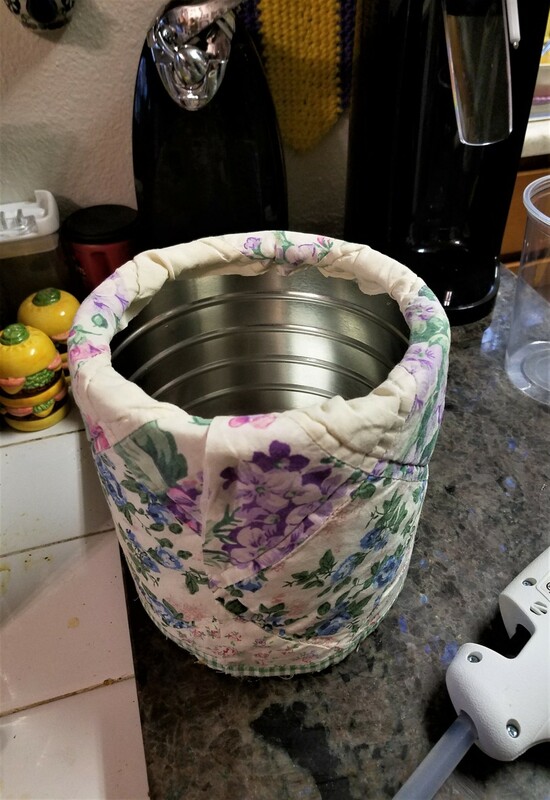 Use some to make a pretty trash bin.